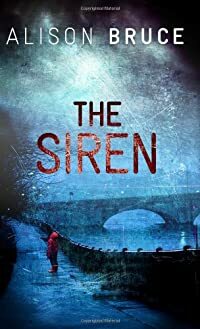 The Siren by Alison Bruce: Synopsis and Online Purchase Options. Synopsis (from the publisher): All it takes is one small item on the regional news for Kimberly Guyver and Rachel Golinski to know that their checkered past is catching up with them. Within hours, Rachel's home is burning and Kimberly's young son, Riley, is missing. When DC Gary Goodhew begins to sift through their lives, he uncovers an unsettling picture of deceit, murder and accelerating danger. Kimberly seems distraught but also defensive and uncooperative. Is it mistrust of the police, who may be putting her son at risk, or does she have darker motivations?